was an American photographer, computer scientist, professor of Computer Science and Information Systems at Northwestern University, and former director of Northwestern's Vogelback Computing Center  . 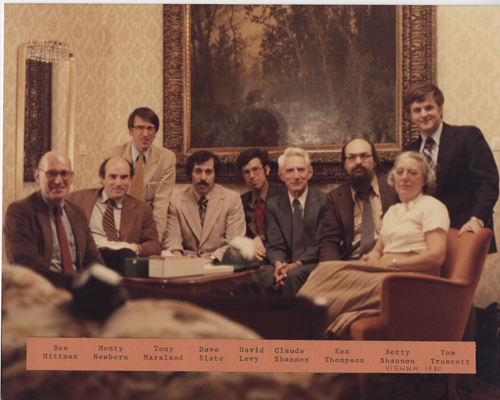 In 1970 Ben Mittman and Monty Newborn initiated, constituted and organized the ACM North American Computer Chess Championship, and together with Monty Newborn and David Levy, the World Computer Chess Championship in 1974. 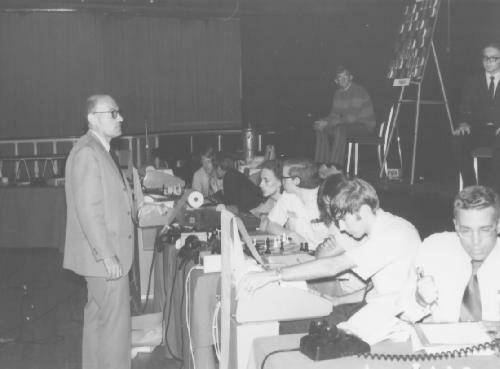 Mittman was co-founder of the ICCA in 1977 and served as its first president, as well as editor of the ICCA Newsletter until 1983  . Sam Matsa and David Slate. Larry Atkin looks on. ACM 1970  . Mittman's latest project, which began in 1994, is photographing the restoration of the Pont Neuf, the oldest bridge in Paris. The restoration, which was completed at the end of April 2007, is the subject of an exhibit of his photos to be held in the Mairie (Town Hall) of the 6th arrondissement of Paris in October-November of 2007. Ben Mittman, my dissertation advisor and mentor from Northwestern University (from whence my PhD degree) has been living half of each year in Paris since he took an early retirement, and has been chronicling the restoration of the Pont Neuf (the “new bridge”) which was completed in 1607. 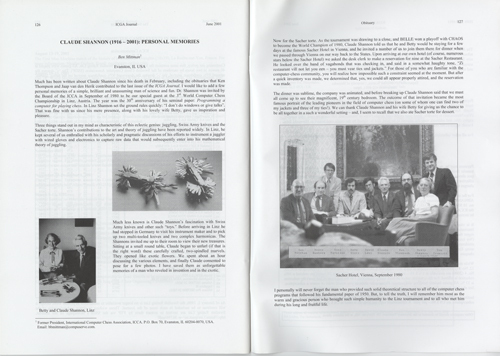 The Northwestern University Library has a special section on its web site that describes the bridge and the project. Ben has created this record of the restoration process using only black & white film. A rarity these days, but one that I think is in keeping with the spirit of this 400-year-old construction. He began his project in 1994 and the restoration was completed in April 2007. There’s a lot of history at this web site, but the photograph collection is particularly notable. And one of the most interesting parts of the restoration is the resculpting of over half of the 384 mascarons (faces or masks) that adorn the sides of the bridge. 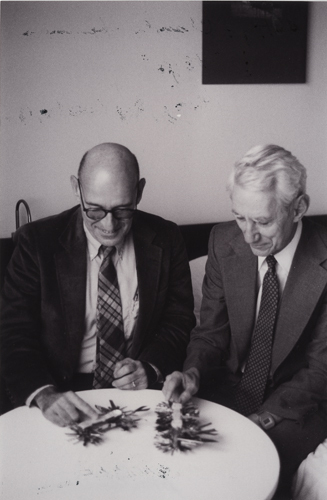 In 1978 Ben Mittman and Barend Swets started the ICCA Newsletter. It was specialized on chess. 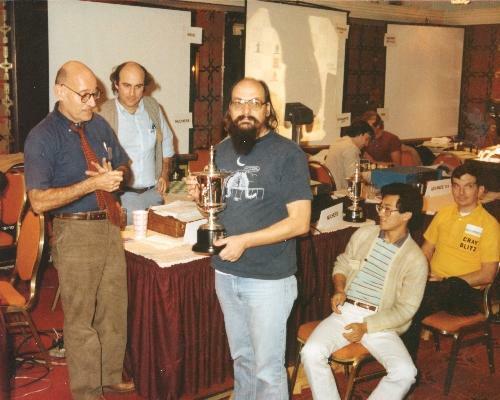 Owing to the series of Advances in Computer Chess Conferences, which in 1999 changed to Advances in Computer Games Conferences, the ICCA Journal broadened its scope, too, and published articles on other games. This can be seen as a generalization. As a direct consequence, the Journal was renamed into ICGA Journal. The City of Paris undertook a major project starting in the mid-1990s to totally restore the oldest bridge in Paris, the Pont Neuf. The restoration ended this year, coinciding with the 400th anniversary of the bridge's completion in 1607. During the entire period of the restoration, Ben Mittman documented the work in black and white photography. There are thirty-four bridges that cross the Seine in Paris. They consist of the usual road and sidewalk variety, as well as five foot bridges, two viaducts for the metro, and two auto-route crossings. In 1988, the City of Paris took over ownership of the bridges from the State, and embarked on a multi-year renovation plan that included the complete restoration of the Pont Neuf — a project that would take almost fifteen years to complete. The Pont Neuf was in very bad shape, having had its previous major restoration in the mid-19th century. The photo below shows what the blacked and broken stonework looked like in 1994, when scaffolding was erected on the first arch of the petit bras. Ben's photo exhibition is at the Mairie in the 6th arondissement, just a few minutes walk from our hotel in Rue Jacob, and ends tomorrow after a run of almost six weeks. A few hours after we arrived at Gare du Nord we had the pleasure of being shown around the exhibition by Ben himself, followed by drinks and a great dinner with the Mittmans. There is definitely something to be said for hedonism. Ben Mittman (1977). 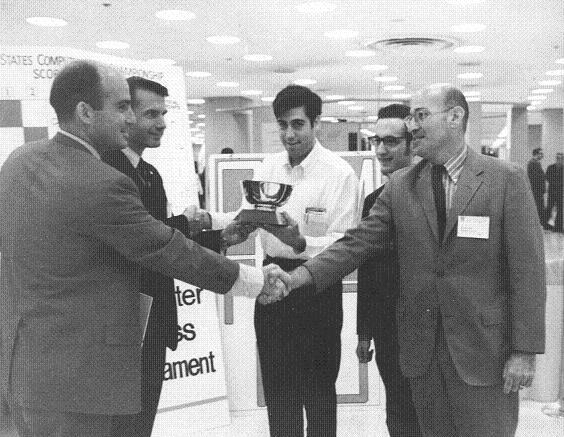 A Brief History of Computer Chess Tournaments: 1970-1975. Chess Skill in Man and Machine (Ed. Peter W. Frey), pp. 1-33. This page was last edited on 5 April 2019, at 18:59.